RVNL Recruitment 2019 - Job notification for Managing Director Post in RVNL, New Delhi. 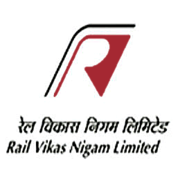 Applications are invited by Rail Vikas Nigam Limited on or before 14 Mar 2019 06:00 PM for 1 vacancy. 1 Graduate in any discipline with a total experience of at least 25 (Twenty Five) years in Railways of which at least 5 (Five) years in SAG and above. He should have relevant experience in project management/ project development/ project operation and maintenance of Railway systems/ marketing/financial management and profit center approach/ cost control. Candidates having post graduate qualifications in technical/management disciplines with experience in managing the affairs of SPVs/ Companies/JVs on PPP mode concerned with the following functions in Railway, i.e., Railway Planning and Construction, Financing, Marketing and Commercial, and Operation & Maintenance may be given preference.